Drone aircraft, which we first heard of as weapons of war used by the United States in foreign lands, are now poised for a full-scale invasion of the skies above the US itself. On December 30, 2013 the US Federal Aviation Administration announced its choices for drone testing in six states around the country — Alaska, Nevada, New York, North Dakota, Texas and Virginia. What this story reveals is the creation of a huge web of DoD-connected Universities, businesses, corporations, defense contractors, and former and current Pentagon facilities spread all over the country. Included in this web are the many and various chambers of commerce, their boosters in the press, and numerous comprador “officials” anxious to bring federal money into their districts, at the expense of all the other people who live in them. Almost no news coverage has appeared that would imply the FAA decision was anything but a boon for the economy and the advent of a wonderful and inevitable new technology. 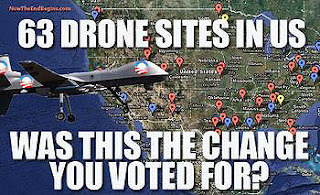 There is little news about the down side to hosting drones in all these areas of the country, each with a populace that has simply not been consulted. 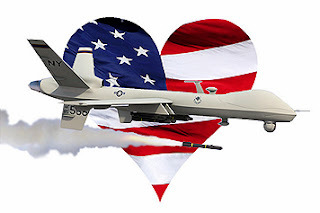 Drones first came to our attention at the beginning of “the war on terror.” We learned of them first as weapons for highly illegal, cowardly, and indiscriminate “targeted killings” in foreign lands? These weapons have murdered countless innocent people in Afghanistan, Iraq, Pakistan, Yemen, and Somalia pursuant to “kill lists” drawn up every week by the CIA and Pentagon, and approved by the White House. These weapons fulfill the US Air Force’s fantasy of “death from above,” carried out by pilots working in the security and comfort of US bases who, acting as judge, jury, and executioner, destroy supposed enemies from computer consoles as if it were a video game. The cowardliness of wars of aggression being conducted against innocent people in dirt-poor lands by unseen “UAV pilots” in air-conditioned offices thousands of miles away cannot be over-emphasized. 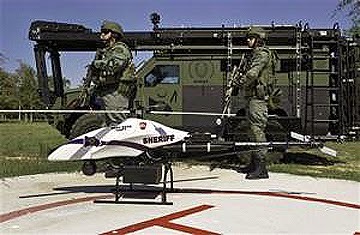 This is what unmanned aircraft have brought so far to the reputation of the United States – a new low in the entire universe of human ethics. Murder abroad is but the advance of capitalism at home. Wedding parties in Afghanistan have been decimated so that Amazon can deliver cds and smart phones to our door by drone. Nor is there news about the introduction of drones domestically as yet another assault on privacy and the human right to be free from surveillance. Domestic law enforcement agencies are just as anxious to spy on the US population and target people they call criminals as the Pentagon and CIA have been to spy on the rest of the world and kill people they call terrorists. It isn’t enough that our phones and computers have been turned by the NSA into astounding instruments of surveillance, that everything we say and do on these instruments is being harvested and stored, and that surveillance cameras are mounted at almost every business and public space. Now the national security state wants to have remote-controlled cameras videotaping us full-time from the sky. 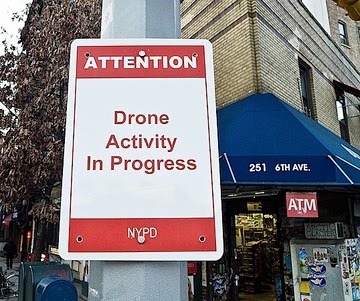 The police hope to have drones able to fire “non-lethal weapons” at people they deem to be involved in criminal activity so that they too can play God. 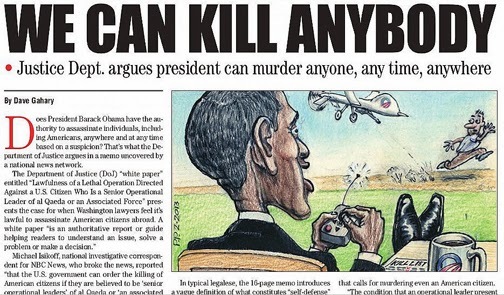 Without question, non-lethal weapons will soon become lethal weapons and the US will be trying and executing citizens at home as it has done elsewhere without even a hint of due process. The domestic military bases which are being revived by this brave new technology originally went out of business because there was nothing for them to do in the fulfillment of their original purpose – defending the country. Otis Air Base, now called “Joint Base Cape Cod”, is a case in point. It used to patrol the skies for Russian aircraft along the northeast coast and ended up being a disaster for the community in which it was situated because it polluted the local groundwater and sole-source drinking water aquifer with millions of gallons of dumped jet fuel and cleaning solvents. It sent fighter jets to intercept the two planes hijacked to New York on September 11, 2001, but ended up being part of a ploy to let those planes actually reach the twin towers before they got there. This base and many others have been parasites on the communities around them. They will continue in that role in their new incarnation as hosts to drone spying and drone warfare. The war has come home. The people orchestrating this war – the global elite — have no particular allegiance to the United States. From their point of view, its land and its people must be brought under control, just like everywhere else. How sad it is to see the scramble to welcome them.